Wakefield Acoustics manufactures and supplies advanced industrial and environmental noise control systems to the power generation industry. With over 35 years experience of supplying bespoke industrial noise control solutions to the power sector, Wakefield Acoustics has extensive experience of treating complex noise problems. The movement of high-pressure air and gas typically poses a variety of industrial and environmental noise challenges within power generation environments. Wakefield Acoustics treats industrial and environmental noise problems in a wide range of applications including boiler applications, flue gas desulperisation processes, aeration systems, exhaust gas systems, air filtration systems, cogeneration plants and material handling systems. Wakefield Acoustics supplies a range of rectangular silencers for fan inlets and discharges. These items are usually manufactured from mild steel plate, up to 8mm thick, with fully certified welded casings with a variety of high-quality paint finishes for arduous environments. Stainless-steel fabrication in 304 or 316 grade, is also available. Inlet silencers can be supplied with a variety of additional components such as filter boxes, rain hoods, trash screens, weather louvres and sand trap louvres where required. Circular silencers are also manufactured for process / ventilation air systems, and process silencers are normally treated with a high-temperature paint finish, and manufactured with flat or raised-face flanges as required. All silencers can be supplied with integrated support feet or brackets. The company offers full inspection services for the silencers, including weld inspections and pressure testing where this is a project requirement. Wakefield Acoustics supplies acoustic enclosures ranging from drop-over canopies to larger, site-assembled modular units. Depending on the project requirements, enclosures can be manufactured with a range of access options, including hinged / removable panels, personnel access doors, sliding doors, framed lift off roof sections. These units can be painted with a variety of high-specification finishes for arduous environments. Ventilation systems are normally integrated into the enclosure design, and can include run and standby axial / centrifugal fan arrangements with hazardous area certification where required. Electrical installations can also be incorporated into the enclosure design. 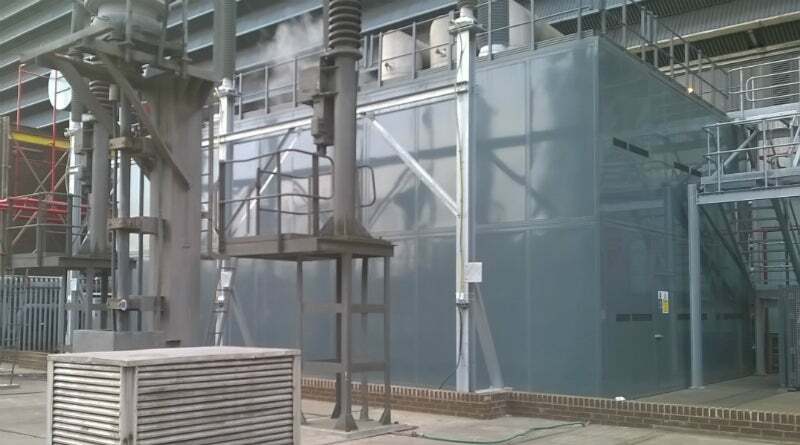 In addition to the enclosure and silencer range, Wakefield Acoustics manufactures and installs, acoustic screens, rectangular and circular attenuators in a range of materials including pre-galvanised sheet steel, stainless-steel and PVC, inlet silencers, and combined inlet filter silencers for aeration blowers. Wakefield has experience of operating to exacting specifications on complex contracts. The company has a team of experienced project managers with a high-degree of knowledge of the documentation and certification requirements of high-specification contracts. Acoustic enclosures from Wakefield are tested in accordance with BS EN ISO 11546-1: 2009 as required by BS EN ISO 15667 – Acoustics – Guidelines for noise control enclosures and cabins. Wakefield Acoustics has appointed acoustics industry expert Brian Quarendon to the company's senior team in the role of strategic advisor. Early detection and preventative measures can mitigate the health and environmental impacts of noise in Combined Heat and Power (CHP) applications, writes Robert Lomax, sales director of Wakefield Acoustics. Having been accredited to ISO9001 Quality Management System for many years, we are delighted to announce Wakefield Acoustics' recent accreditation to BS OHSAS 18001:2007 and ISO14001: 2015 as part of the continued development of the company's integrated QHSE management system.